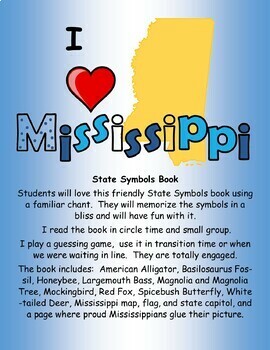 Students will love this friendly State Symbols book using a familiar chant. 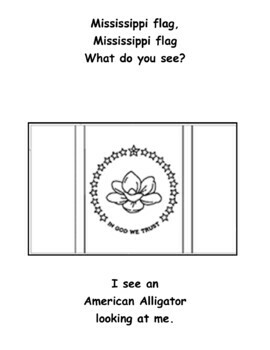 They will memorize the symbols in a bliss and will have fun with it. 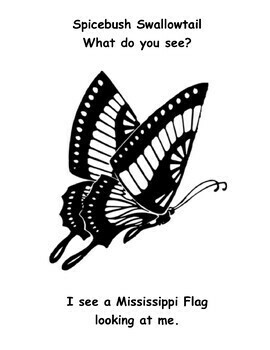 I sit down with my students to make them color the symbols the right way and help them glue their picture at the end. I read the book in circle time and small group. I play a guessing game, use it in transition time or when we were waiting in line. They are totally engaged! 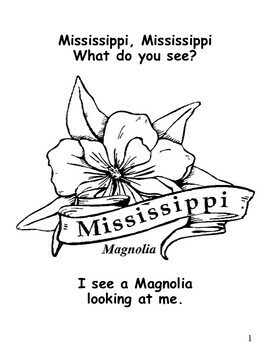 The book includes Magnolia flower and tree, Mississippi flag, map, and Jackson the state capital, white-tailed deer, American Alligator, Spicebush Swallowtail, Mockingbird, and a page where students glue their proud Mississippians glue their picture.